Research published by trade association UK Finance has revealed that, during the first half of this year, criminals stole £503.4 million from the UK public via fraud and scams. Over the same period, the UK finance industry helped to ‘prevent £705.7 million of unauthorised fraud’, the research found. So-called ‘purchase scams’ proved to be the most prevalent type of crime, accounting for £19.4 million of the total amount stolen. Purchase scams involve a victim paying in advance for an item or a service, such as a car or a hotel room, and subsequently never receiving or being able to make use of it. The research also revealed that, in the first half of 2018, there were 3,866 reported cases of ‘impersonation scams’. As part of this type of scam, the criminal purports to be from an authority, such as the police, and tricks their victim into transferring money. The average loss resulting from impersonation scams amounts to £11,402, according to UK Finance. Commenting on the research, Katy Worobec, Managing Director of Economic Crime at UK Finance, said: ‘Fraud and scams pose a major threat to our country. The criminals behind it target their victims indiscriminately and the proceeds go on to fund terrorism, people smuggling and drug trafficking, whether or not the individual is refunded. Chancellor Philip Hammond has announced that he will deliver the Autumn Budget on Monday 29 October. The 2018 Autumn Budget will be the final Budget before the UK leaves the EU in March 2019. The Chancellor will deliver this year’s Budget earlier than usual, in a bid to avoid important final Brexit negotiations and a special European Council meeting, set to convene in November. A Monday delivery of this year’s Budget breaks away from tradition – typically, Budgets are held on a Wednesday, after Prime Minister’s Questions. In a statement, the Treasury said that this year’s Budget will build on announcements made in the Spring Statement and the 2017 Budget in order to help build a ‘stronger, more prosperous economy’. The 2018 Autumn Budget will be the second of its kind under the government’s new fiscal timetable: in 2016, the Chancellor moved the annual Budget from the Spring to the Autumn, abolishing the Autumn Statement and replacing it with the Spring Statement. We will be covering all of the key Budget announcements on our website. The Federation of Small Businesses (FSB) has called on the European Commission (EC) to ‘up its fight’ in order to put an end to the late payments culture. Despite the introduction of the EC’s Late Payment Directive, which outlines maximum payment terms of 60 days, 22% of businesses reported that they have been subject to payment terms of more than 60 days. The business group is calling for small firms’ legal protection to be ‘strengthened’ against lengthy payment terms, and for sector-specific ombudsmen to be appointed for industries that ‘are most at risk of late payments’. 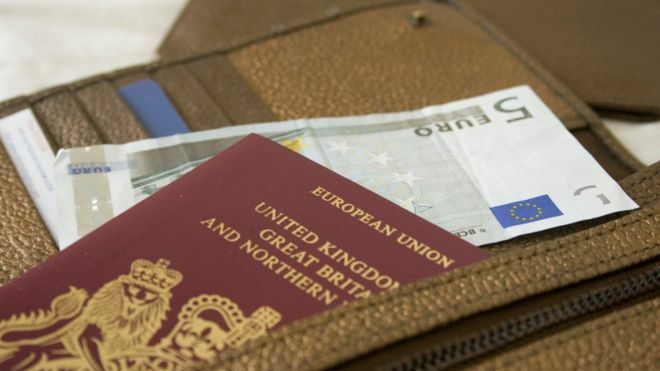 ‘Poor payment culture is a problem without borders, damaging small businesses in the UK and across Europe,’ said Mike Cherry, National Chairman of the FSB. The government has published additional Brexit advisory documents, outlining how a ‘no deal’ scenario could affect air travel. In the event of ‘no deal’, UK airlines would ‘lose the automatic right to operate air services between the UK and the EU without seeking advance permission’, the document stated. Responding to the publication of the latest technical notices, the Federation of Small Businesses (FSB) stated that the documents have only served to intensify small firms’ Brexit concerns. Mike Cherry, National Chairman of the FSB, said: ‘So far, the government has released three tranches of information that really hit home the message that a chaotic no deal Brexit will be damaging and dangerous for our small firms. A new report published by Hitachi Capital has revealed that 67% of small and medium-sized enterprises (SMEs) are looking to prepare ‘growth plans’ in the coming three months. According to the report, 50% of businesses require ‘extra manpower’, with IT and legal services firms being the keenest to recruit. Meanwhile, a further 36% of SMEs are looking to ‘invest in new equipment’, with farming and agricultural firms reportedly the ‘most likely’ to purchase new tools. An additional 36% of businesses are seeking to expand into international markets, Hitachi Capital found. However, with Brexit on the horizon, many small businesses are looking to ensure their finances are in good shape. 37% of business owners are considering cutting costs, and 20% are seeking to improve cashflow, the report suggested. Commenting on the findings, Gavin Wraith-Carter, Managing Director at Hitachi Capital Business Finance, said: ‘What is so encouraging from our new study is that the small business community is not sitting back and waiting for a Brexit outcome to be known. They have told us they have concerns, but they are acting on them. In a new report, the Treasury Select Committee has called for ‘greater regulation’ of cryptocurrencies and crypto-assets. Cryptocurrency functions as a means of payment for goods and services. However, this type of payment differs from traditional methods, as cryptocurrency payments can be ‘transferred electronically between users, without the involvement of intermediaries’, such as banks. Within the report, the Committee stated that the cryptocurrency industry is comparable to the ‘Wild West’, and called for stringent regulations to be introduced in order to combat issues such as volatile prices, hacking and minimal consumer protection. The Treasury Select Committee has urged the government to introduce new laws to ‘improve customer outcomes, enable sustainable growth and reduce certain risks’, and make standards compulsory. ‘This unregulated industry leaves investors facing numerous risks,’ said Nicky Morgan, Chair of the Treasury Select Committee. ‘Given the high price volatility, the hacking vulnerability of exchanges and the potential role in money laundering, the Treasury Committee strongly believes that regulation should be introduced. However, mobile phone charges, alongside rising prices for furniture and household goods, had a ‘downward effect’ on inflation. Commenting on the statistics, Suren Thiru, Head of Economics at the British Chambers of Commerce (BCC), said: ‘With UK economic conditions subdued, and little evidence that higher inflation is translating into materially stronger pay growth, the Monetary Policy Committee (MPC) has sufficient scope to opt for a prolonged period of monetary stability.